Tom Tiffin Cannon was born on February 6, 1952 and passed on from this life on April 6, 2019. Tom is preceded in death by his parents Tiffin E and Tommy J Cannon. He is survived by his Wife Patti, Brother Pat (Carey) Cannon, Sisters Karen (Wayne) Gunter, Janie (Bob) Taylor and Terri Rahn and nephew Colton Shields. Tom had 3 children, Lisa (Cannon) Johnson, Taylor Cannon and Jeanie Jones. Tom graduated from Chico High School in 1970 and went on the rodeo circuit as a saddle bronc rider for many years. Tom enjoyed competing in Ranch Rodeos and attending many local brandings. Tom even won the saddle bronc riding at the Stonyford Rodeo in 1972. Aside from his rodeo and ranching love, he was a great boxer, Winning the Golden Glove at Oroville High School. Tom was a huge fan of baseball and never missed a Dodgers game, although he never got to experience them in person. After his rodeo days, Tom went on to work as a wrangler, buckaroo and ranch-hand for outfits such as the ZX Ranch, where he worked side by side with his brother Pat, the MC Ranch in Aedel, Or and the Baer Ranch in Cedarville where he worked under Gene McAllister and in Boarman Oregon working with John Espil. Tom went on to work for the Bureau of Land Management as a wrangler at the Wild Horse Corrals in Standish for 14 years before promoting to Range Technician where he retired 16 years later in 2015. 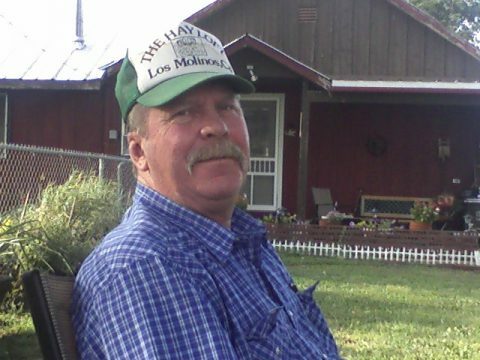 Tom had many talents including Ranching, Rodeo and heavy equipment operator with Circle DE Logging Company for Bob Satica. Tom loved to hunt and fish (drink whiskey and fight)and could be found enjoying our great outdoors. Tom had a great love for good dogs, good horses and pretty women, and good whisky. He loved to gather with friends and family and play guitar, harmonica and even sing a tune. He was well loved and greatly respected by all who knew him. Tom never knew a stranger and would offer the shirt off his back. He, however, never forgot a loan. Tom met the love of his life in 1980 and finally got around to popping the question in 1999, where he spent the last 20 years with her in their home in Standish. So sad. He was too young. RIP Tom. I’m so sorry, prayers to all. Condolences to Patti and his entire family. RIP Tom, you are one hell of a person ! and will be missed !